80's is one of the best and funkiest era I know. Madonna, Michael Jackson and Cyndi Lauper were famous during the 80's and that only proves how fun it was in the 80's. The fashion statement during the 80's is an inspiration to our young fashionistas and designers. 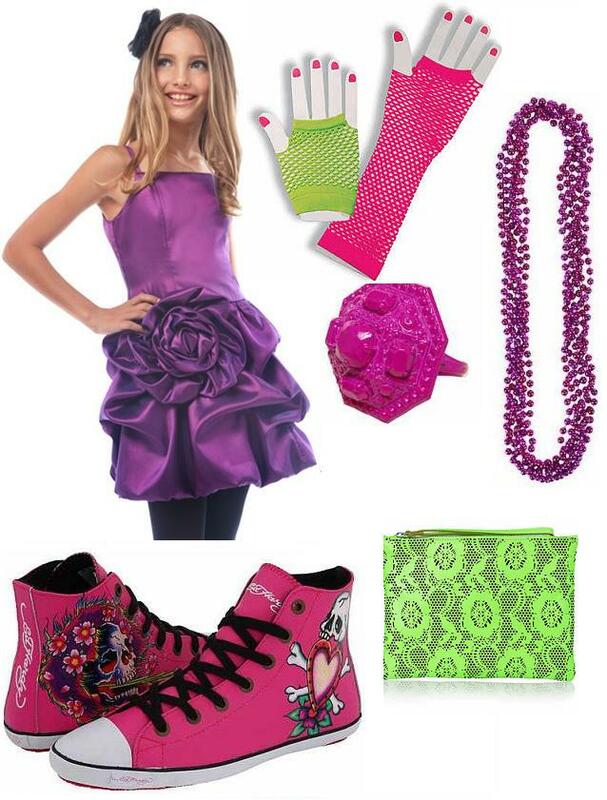 Its fashion is also a popular costume idea because of its bold and colorful style. Big hair, tights, bright and neon colored accessories, fingerless gloves and bright colored dress are the elements of 80's fashion. So, if you don't want your kids to look scary or your kids are actually scared of wearing a monster costume for Halloween, you can get Halloween costume ideas from the 80's fashion. The kids may not look scary but everybody will say 'WOW' to their funky and fun look. At Elitedresses.com, not only you can find an affordable and quality girls holiday dresses, flower girl dresses, girls christmas dresses, but you can also find a funky 80's costume for the Halloween. Elitedresses.com dresses are so special because not only they are functional but definitely stylish as well. So perfect for our 80's theme this year! I hope you find something for your daughter! :D That's a cool theme btw!